Grandi Navi Veloci and SNAV will take you to Barcelona! By choosing our ferries, you will be able to dock in the beautiful Spanish city in total comfort and safety. Museums, art, history and also plenty of amusement! In fact Barcelona is also famous for its night spots and entertainment, that have always attracted many young tourists. Perhaps not everybody knows that Barcelona is also a city suited for children: if you travel with your family, you will be able to find a solution for your needs. A city full of promises for tourists of all ages! Our Genoa-Barcelona ferries offer many amenities for any type of passenger. Are you travelling with your family, partner or friends? Comfortable and cosy cabins are always available on-board. You can choose between tree or four bed cabins, or one of our suites. If you are planning your holidays in Spain and you wish to visit the marvellous city of Barcelona, just login our booking site and customise your trip based on your needs. 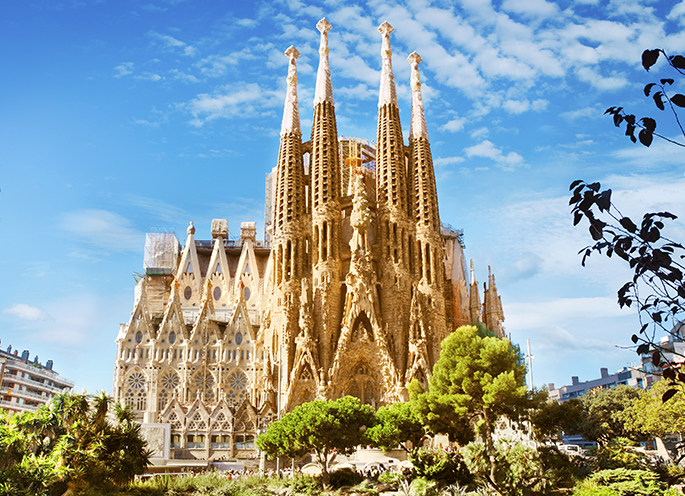 View the offers and promotions and travel to Barcelona with SNAV and GNV.